The DX super alloy VF-1 series second bullet is Max! 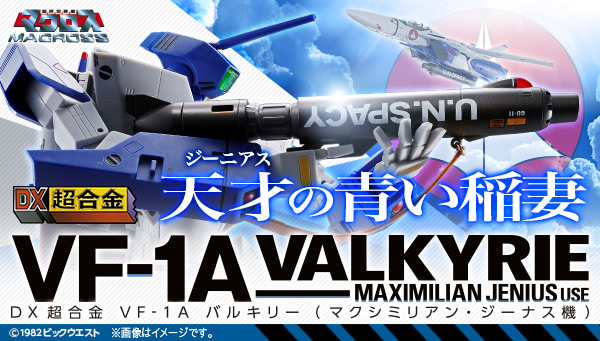 Following the "VF-1J (Ichijo Kiki)" released at the end of 2018, the release of "VF-1A" driven by genius Maximilian Genus is decided! Newly shaped head of type A, and vividly reproduce the personal color blue. The marking is done by Macross visual artist Hideki Tenjin. VF-1A Valkyrie (Maximilian Genas machine) flies with detail and gimmick unique to 1/48 scale.